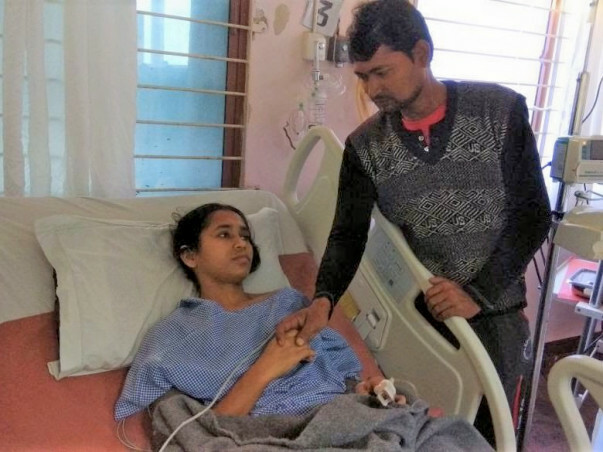 a few months back, 26-year-old Rejina Bibi was diagnosed with a condition called Giant Cell Tumor. Giant Cell Tumor is a tumor of the bone and is characterized by multiple bone tumours. 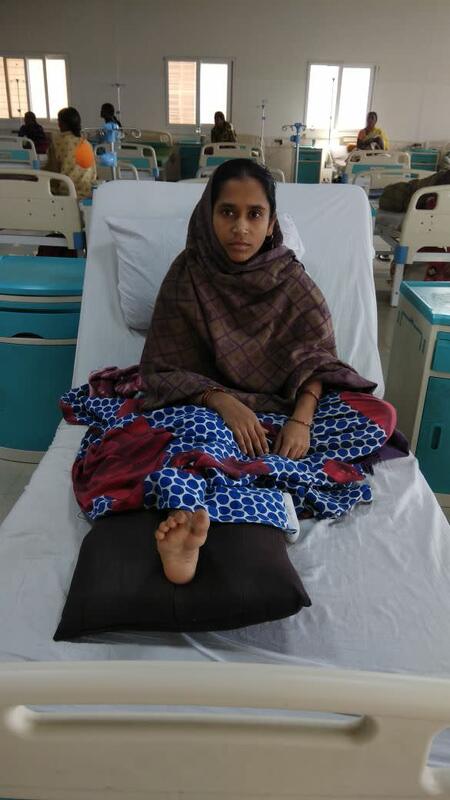 The only treatment now for Rejina is surgery followed by chemotherapy. The total cost of treatment is around 6 lakh Rs. Unfortunately, Rejina and her family come from a very poor background and do not have the funds to afford the treatment. Thank you for all the support. Please find the pictures attached following the previous update. 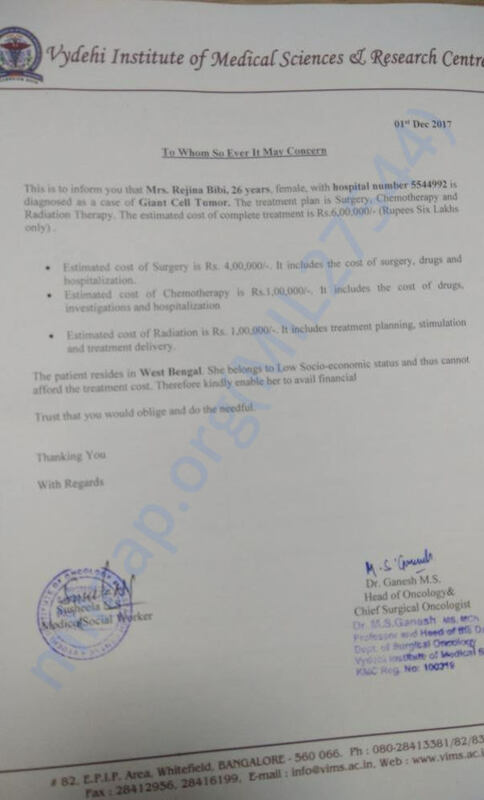 Thanks to all of you for the financial assistance towards the treatment of Mrs. Regina Bibi. 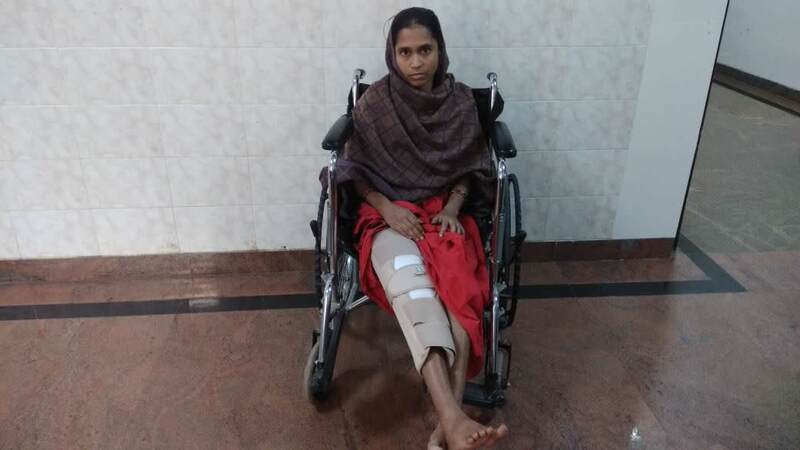 She had undergone en bloc excision of the right distal femur and soft tissue margin with reconstruction with the modular endoprosthesis. The patient is stable and discharged in good health. Thanks to all the supporters for your valuable support in alleviating the suffering of this family.